Do you have enough omega 3 in your diet? These fatty acids are one type of fat you should definitely consider getting enough of. They pack great health benefits and are relatively easy to get hold of. There are several types of omega 3 fatty acids. EPA and DHA, which are both crucial, can be found in certain fish. Alpha-Linolenic Acid (ALA) is another type of omega 3 acid. Certain seeds and nuts are a good source of ALA. Once in your body, ALA gets turned into DHA and EPA . 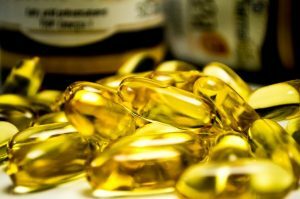 In addition to the natural sources of omega 3, you can find a variety of supplements at the local drug store. Some may work better for you than others. So speak to your doctor about taking them and see how their helping. DHA plays a big role in your eye health. It’s “a major structural component of your eyes’ retinas” and may help prevent blindness or vision impairment due to macular degeneration. While omega 3 doesn’t seem to lower the risk of heart attack or stroke, it has been shown to help improve several risk factors of heart disease. This includes raising good HDL cholesterol, preventing blood clots from joining together, keeping plaque from building on your arteries, and more. Although more research is needed, some studies suggest that omega 3 can help protect against dementia, Alzheimer’s disease and help deal with gradual memory loss that’s connected to aging. Omega 3 benefits aren’t just for your physical body, people with mental disorders often have low levels of omega 3. And in people with both bipolar disorder and schizophrenia, omega 3 supplements have been successful in lowering the frequency of their mood swings and relapses. Omega 3 benefits really span a great deal, and this list is far from full. Hopefully, it gave you enough of an incentive to make sure you’re getting enough of it in your diet.